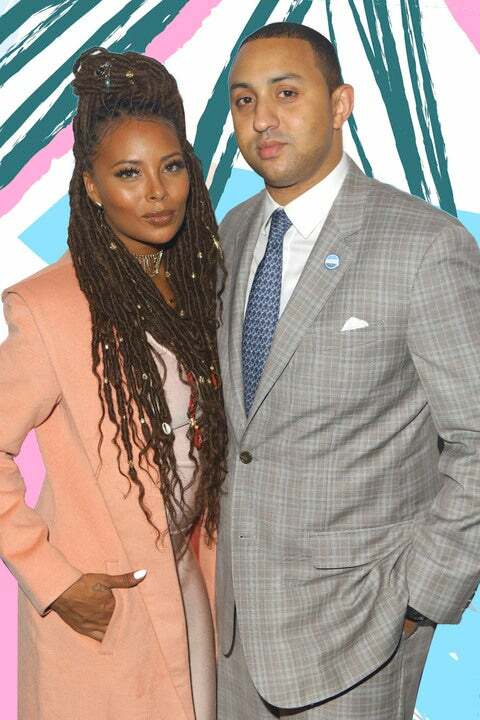 Eva Marcille has been twirling her way through Atlanta for the last couple of months, and it’s not just to film her debut on Bravo’s Real Housewives of Atlanta. The former America’s Next Top Model winner and actress has been in Georgia in support of her boyfriend, Michael Sterling, who is currently running for mayor of Atlanta. “So I might be a day late but I still salute you @michaelforatlanta for #nationalboyfriendday. I love you to pieces and you’re the best boyfriend in the entire world. As quirky as you are I wouldn’t change anything about you. Your compassion for others, your drive and persistence and above all your love for Marley Rae and I. You’re the man of my dreams and the one god designed for me. I adore you and appreciate everything you are (I love your smile),” she shared. His compassion for others has the support of the community and Eva who’s been seen around town helping her man on the campaign trail. Whenever I've been in a position to be able to help someone else, I did my very best to help. Thank you for the support my friend @myfairsweets. #usagainststatusquo #michaelforatlanta #sterling2017 #Repost @myfairsweets ・・・ Thank You @evamarcille for all your support!! We are representing and supporting @michaelforatlanta for Mayor of Atlanta! He helped me with my son when I was having trouble with him and he will always have my support!! No wonder she’s on cloud nine.